Many people might have an Exchange calendar at work that they access through Outlook and a Google Calendar for personal use. If you want to move the entries from one system to another, you can use this tool, Google Calendar Sync, to keep your calendars in sync. Google Calendar Sync does just about everything you could ask from it. You can customize how often the sync service runs and also which way the sync runs. 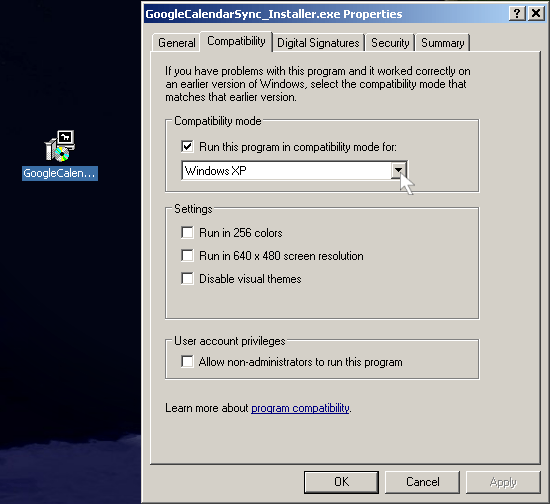 You can do a 2-way sync to have both calendars mirror each other or you can do a 1-way sync from Outlook to Google Calendar or vice versa. 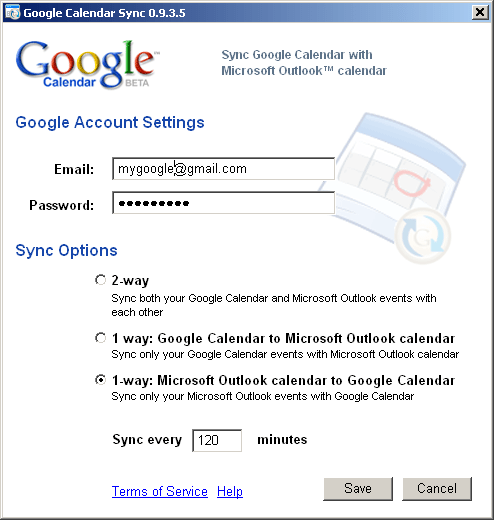 The Google Calendar Sync application is compatible with Microsoft Outlook versions 2003 and 2007, and operating systems Windows XP and Windows Vista (32-bit only). I tried to install this on a Windows Server 2003 machine and got a warning message say that only XP and Vista were supported and the installer quit. Changing the compatibility mode on the setup executable to Windows XP, I was able to proceed through the install without any problem. The service appears to work just fine on Server 2003 but caveat emptor, I might just be lucky. The Sync service sits in your system tray and has different icons to show the status of synchronizing your calendars. The installer was less than a 700KB download but the process takes up about 17MB of RAM just sitting there. Outlook must also be open for the sync to complete successfully. With that requirement met, the Google Calendar Sync tool should just usefully fade out of memory as it silently completes its tasks. Keep in the loop with Google Calendar Sync.